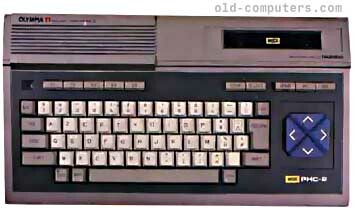 This is a standard MSX 1 computer, no suprise... But though Olympia is a german company, it is in fact a Korean Daewoo / Yeno DPC-64. It is identical except for the colour. see more Olympia PHC-2 Ebay auctions !